Spring Septic makes servicing for your septic tank easy. We have a team of experienced septic technicians and even offer emergency septic pumping. 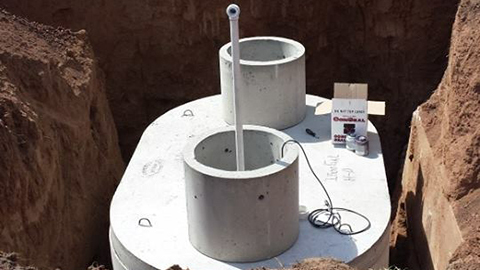 Septic tanks don’t have to be mysterious, or even expensive. With proper maintenance, you won’t even know that it’s there. Septic Services keep your septic system sealed. Proper service will keep your system free of odors and soil contaminants. Spring Septic has provided homeowners and local business owners the best septic pumping for decades. There’s no one better for local septic tank pumping than us, Spring Septic. We have over 20 years of experience satisfying customers with quality services, fantastic customer service, and excellent results. We give everything we have to fulfill the expectations of the customers and more. Our services are professional, and we’re reaching out to homeowners or local business owners to let us be your septic service. At Spring Septic, we offer you not only fast and friendly service but flexibility and proficiency, as well. A lot of homeowners do not remember their septic system. Yes, the septic might sound yucky or even look disgusting to you. You think that you don’t need to spend money on it. You feel that pumping the septic system is expensive. But in reality, you get to save a lot of money in the long run. Your septic system lasts for longer, and you do not run into unexpected emergencies. A healthy septic system is often taken for granted, and a lot of homeowners do not appreciate this. Your septic system should be recommended every three to five years. You shouldn’t ignore it. At Spring Septic, we know that a septic system in good working condition can save you thousands of dollars. Yes, we’re talking in thousands here. The same thousands that would cost you if you fail to have it checked and pumped regularly. Once you keep your tanks properly working and running strong, it could last you even decades. Ideally, the septic system needs to get serviced every 3 to 5 years to keep it suitably running. Admit it. We all take our septic tanks for granted. After all, we couldn’t care less about it. It’s something unseen, insignificant, unworthy of your time and attention. Septic pumping is actually a very important aspect within the home’s plumbing system. We understand that this may not be a priority for you – especially when it comes to finances, but you need to think about it not just once or twice but basically a lot of times, my friend. At Spring Septic, we give you professional and quality septic pumping services to keep your tank in good working condition. Our skilled and trained staff will provide you the best and the friendliest service in the neighborhood. Spring Septic should be providing you with your septic tank services. Call us today and we’ll gladly tell you how you can extend the life of your septic tank system. Also, we will beat any written septic tank pumping cost. 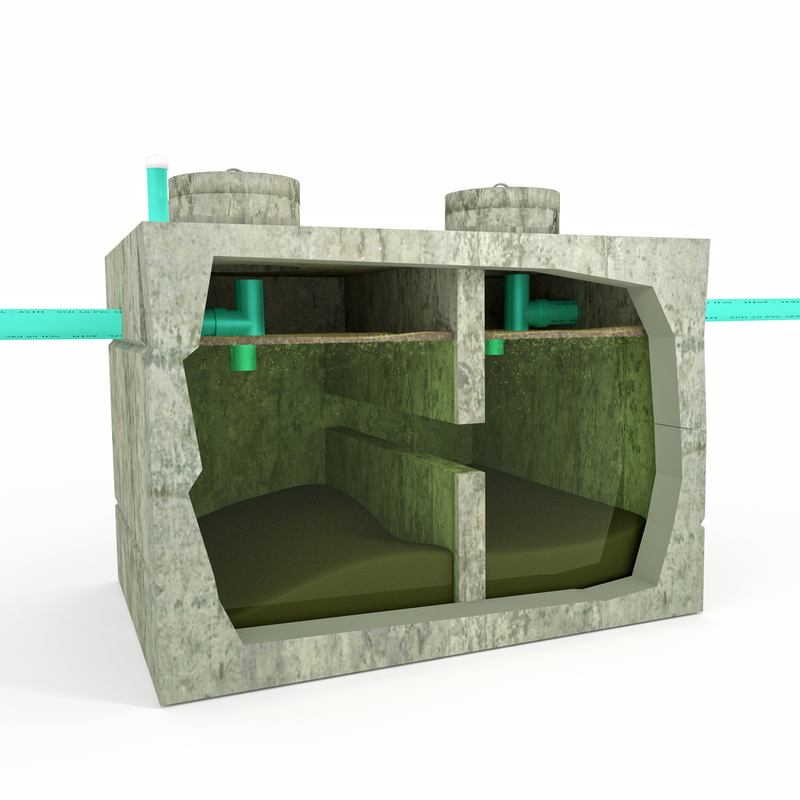 Consisting of a tank and various pipes, your septic system is actually pretty simple. It is very important though since it’s responsible for the waste water from your home. It is basically designed to separate the solids from other wastes and dissolve the run-off into the ground. These wastes go through the sewer pipes that connect to the septic tank. The wastes then are separated with the heavy solids or sludge at the bottom. The lighter substances like fats and oils floating to the top. This top layer is called the scum layer. Over time, the septic system may get clogged once the solids continue to build up. Remember that the system treats an enormous amount of organic waste and requires some time to properly “digest” those waste materials. This means that if you continue to push the septic system to its limits, you may not get your desired result. Hence, the need for regular septic inspections. As one of the top choices for underground wastewater systems, the septic system is very efficient and highly recommended. This system is actually more economical and effective than the centralized systems found in most rural areas today. Consider that the septic system readily disposes and treats your organic wastes onsite. 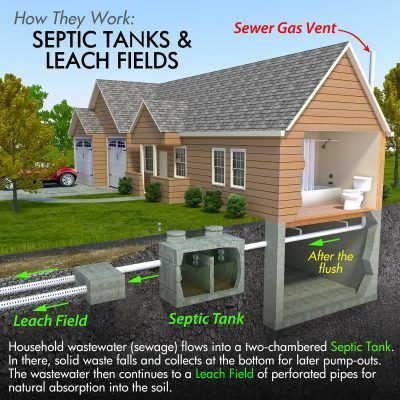 This, aside from the fact that most septic system designs are simple to install and inexpensive to maintain. Since the septic pumps mainly cover human organic wastes (your poop, to be exact), it is unquestionably necessary to ensure that everything is in its place. You should know the septic pumping companies near me. The entire septic system should be kept in good working condition and must adhere to EPA standards. One gauge here is that the septic tanks should not emit any foul smell. Once it does, then it’s a huge threat to you and your entire household. The smell means that the system is not properly maintained and could release harmful bacteria and organisms into your groundwater. Imagine getting all that dangerous stuff into your groundwater! You should definitely be on the phone with septic cleaning companies. A routine maintenance service can go a long way. Not only will you be able to save thousands on another septic tank installation, but you can also contribute a lot in protecting the environment. 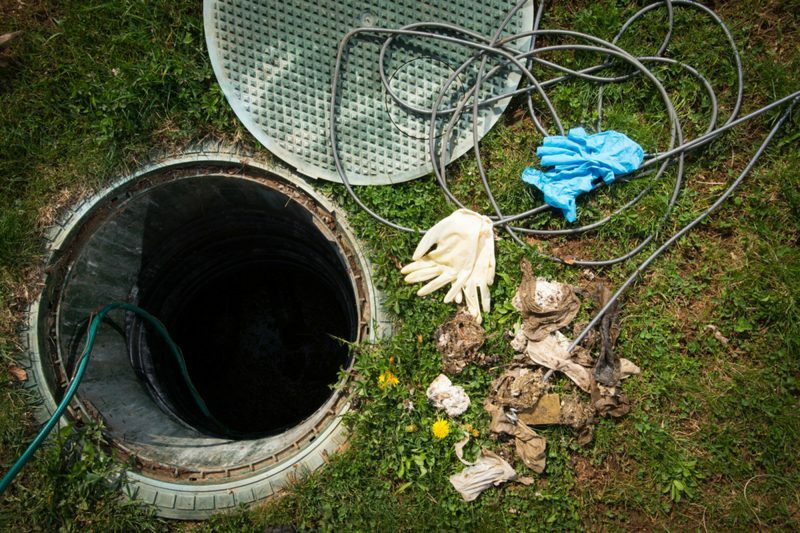 A properly functioning septic tank can actually protect your home by ensuring that dangerous bacteria and pathogens are kept out of the water supply system. You are not only safeguarding your family but you are also sheltering Mother Nature as a whole. How many people are living in the house? How much water is being used each day? Answering these questions will help you determine how often your tank needs to be pumped. Remember you can always give us a call and we’ll gladly help you out. The EPA does recommend that a family of four gets their septic system pumped about every 18 months. Is your septic tank full? Here’s what you need to know. Since you live your everyday life with so many priorities, it’s just normal to not give attention to something that you can’t even see. E.G. your septic tank. If the septic system doesn’t give you a problem, meaning, you can’t even remember that it exists, then it’s definitely running properly. Otherwise, you’ve got some problem up your sleeves, man. Or rather, down that drain. Here are just a few of the top warning signs that you need to look out for to let you know that the tank is full. The toilet won’t flush or is taking unusually long to completely flush. The yard surrounding your septic tank system smells absolutely horrendous! The yard has spots with standing water. Your sink is slow to drain. You’ve noticed greener grass on one area of the yard, specifically the one that’s nearest to the system. Don’t wait until it’s too late. Many times a simple inspection and regular old septic pumping will give us the chance to catch what could have been a bigger problem down the road. Save your money. Call Spring Septic before your tank cost you more. 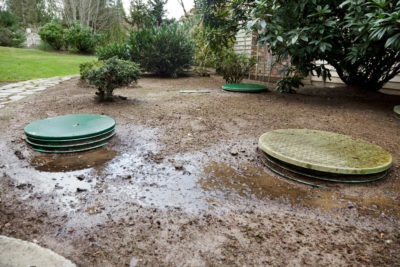 NEVER cover the septic system’s drain field with concrete, asphalt or any other hard surface. This will keep your drain field from functioning properly. NEVER drive over the drain field with your car or with heavy equipment of some sort. NEVER plant shrubs or trees around your septic system. The plant roots can get into the system or lines and create an obstruction. DO use grass to cover up the area as grass is proven to prevent soil erosion and it also eliminates excess water. DO make sure that surface water from your driveway, patios, and roofs are contained away from the drain field. If you want to properly maintain your septic system, make sure that you take note of what items SHOULD NOT be flushed down the toilet or drain. Remember that continuous solid build-up can harm the septic system and may clog the tank in the long run. Also, if you’re not living alone, talk to your family and children and let them understand the importance of taking care of the septic system. Chemicals like thinners, paint, pesticides, varnish, and other substances that could contaminate water or kill the bacteria in the system. Since we have already established the importance of the septic system in both residential and commercial establishments, we think it’s time that you know about our services. At Spring Septic, we provide service for all types of septic tanks – whether it’s conventional or aerobic. You’ll know what type your property has during the installation process. Both types get the job done. They treat organic waste and break down the sewage. However, there are quite a few differences that you may want to know. Also called an anaerobic septic system, this is basically the most common system type installed in most commercial and residential establishments. Since the system works anaerobically, this means that it needs lesser or even no oxygen. The conventional system contains an underground septic tank to hold both the liquid and solid organic wastes. While the solid waste sinks to the bottom, the liquid substances float to the top. The anaerobic bacteria then work to start breaking down both wastes to produce wastewater that goes through the treatment tanks and released into the field. This system is actually more complicated than the conventional one. The equipment is rather complex as it includes a treatment plant, a trash tank, and a pump tank. Basically, the whole process of treating waste and turning it into wastewater is the same. The main difference here is that the treatment tank contains an aerator where air bubbles circulate. Air is needed to ensure that the aerobic bacteria is kept alive as this type of bacteria is responsible for breaking down waste. The aerobic bacteria work faster and more efficient than the anaerobic bacteria. The whole process ends with the water being brought into the pump tank for disinfectant treatment. The aerobic systems are costly but much more efficient. However, it requires only a smaller drain area that’s suitable for properties that have lesser space available. In addition, the aerobic septic system usually comes with an alarm to let you know when the system is properly functioning or not. Now you have to install an aerobic. Whatever septic system you got installed underground, we assure you that your septic system is in good hands. With over 20 years of unabridged experience, we have the skills and the equipment to keep your septic system running. We fully understand your predicament. After all, we started this company based on our needs first. If you haven’t got the perfect septic system yet, we are happy to help you. Call us now and we’ll discuss your options. We know and we understand how difficult it is to look for a septic pumping service that can offer you not only professional quality work but utmost customer service, as well. We’ve got you covered in all areas, brother. If you are looking for a reliable and flexible septic tank pumping service, Spring Septic should be on top of your list. With license and proper insurance, we provide you with an array of services for your septic tank maintenance needs. We have been in the industry for more than 20 years and have served the community and other areas, as well. With a dedicated team, and an excellent service track record, we know that we can give you the satisfaction that you seek, and the guarantee for the money you paid for our services. Our people will happily take care of your septic pumping needs because we treat our clients as part of our family. Your home is our home. We are taking calls 24/7 so do not hesitate to give us a ring any time of the day. 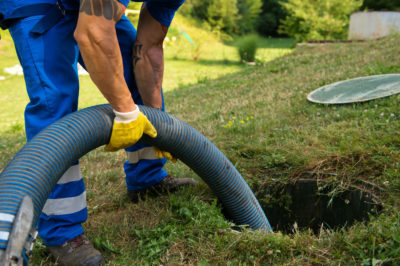 Whether it’s for emergency or you just want to ask our opinion on your septic tank issues, we will gladly assist you with everything that we’ve got. Don’t wait for your tanks to break down. Save on costly repairs. More importantly, save thousands of dollars on another installation. Give us a call now.